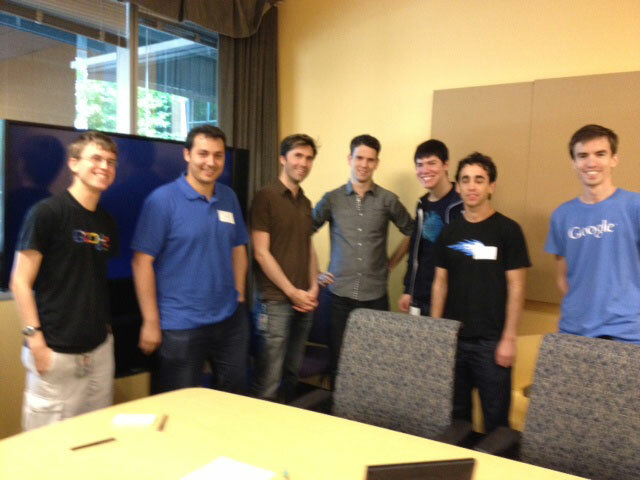 Googler Paul Irish posted a picture on Google+ of Facebook meeting with Googlers at Google for a mini-summit named Timeline Timeline. It was about how Chrome can make Facebook Timelines better. This is proof Google and Facebook can indeed work together. The people with the white stick on badges must be the Facebook developers. Here are the names: In the photo (L to R): Nate Chapin, Burak Guzel, Nat Duca, Paul Irish, James Ide, Lior Abraham, James R, (and Steven Young behind the camera). When figuring out how to speed up the CSS of a site, you need to identify % of time goes to selector matching, style recalculation, reflow and repaint. DevTools Timeline and Speed Tracer can help here. Worried about paint? Toggle off an element’s painting with visibility:hidden and try then. You can try out “Threaded compositing” in about:flags for iOS-like scrolling. Fixed background images are very costly to framerate. Chrome lazily decodes images from JPG, etc. Client scaling of images is expensive as it keeps both the original decoded image in memory and the new scale. This can force other images to be evicted from memory which means another re-decoding later on. Chrome Task Manager can watch your image cache numbers: if the image memory consumption is mostly the same while you’re seeing new images, then you’re probably evicting old ones. A potential way to track memory leaks of DOM nodes is holding element refrences with WeakMaps, run a setTimeout to give some time after “deleting” some DOM and see if the WeakMaps still retain a reference. If so, you probably have a memory leak. It’d be fun to have a contest: You have 1 div and 500 bytes. Make the slowest painting page.